With PNG international Raymond Gunemba back in his home club’s colours for the 2017 PNG National Soccer League – kicking off this weekend – Lae City Dwellers are feeling more confident than ever about defending their 2016 title and returning to the OFC Champions League in 2018. Dwellers coach Peter Gunemba was overjoyed to have his son return to Madang, and is looking forward to seeing the impact he will make as captain of the side. “We asked him to stay and he agreed so it is good news for us,” he said. With a young squad sporting Lae City’s blue, yellow and green, Gunemba is confident that his son’s experience and leadership will build a stronger team culture and lift their standard of football. “All our young players are excited to have Raymond stay back; they are looking forward to playing alongside him,” he said. “A lot of our young boys have been learning from him and he has been very helpful. The Papua New Guinea international will be joined by two other fellow Kapuls in Lae City Dwellers’ 2017 squad – midfielder Emmanuel Simon and goalkeeper Ronald Warisan – but Gunemba senior is well-aware that the season is going to be a challenge, even with their Kapul recruits. “We know that this year is going to turn out as a tough season,” he said. 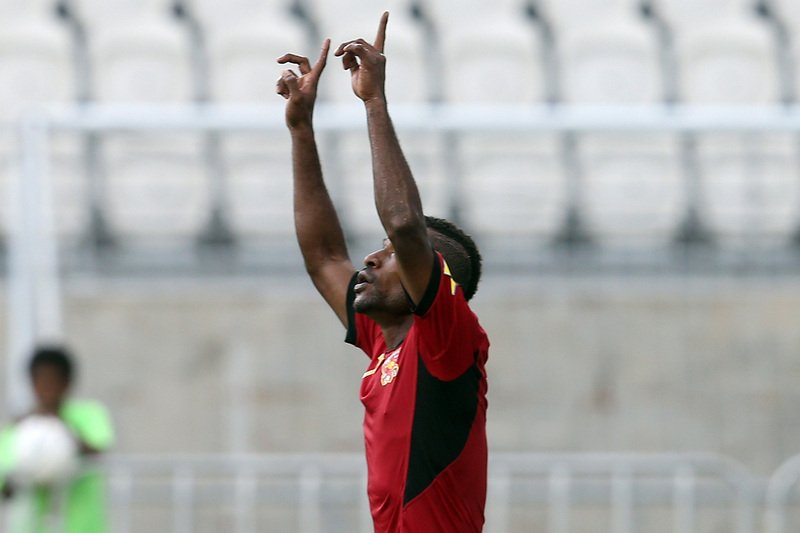 The PNGFA NSL will kick off with three matches at Laiwaden Oval in Madang on Saturday. PNGFA development team Besta PNG United and PS Huawei will open the league with their 10am encounter before Port Moresby-based newcomers Southern Strikers and Buang FC of Hagen meet for their first match at 12:30pm. In the final match of the day, Lae City Dwellers will play fellow 2017 OFC Champions League participants Madang FC at 3pm.